ALBANY, New York, March 28, 2011 (ENS) – The Indian Point nuclear power plant is currently in violation of fire safety regulations and is seeking more than 100 exemptions from those regulations, New York Attorney General Eric Schneiderman said Monday. Today Schneiderman petitioned the federal Nuclear Regulatory Commission to take enforcement action against the plant for its failure to comply with fire safety regulations to ensure that the facility would be able to safely shut down during and after an emergency. Located about 40 miles north of New York City, on the Hudson River in Buchanan, New York, more than 20 million people live, work and travel within 50 miles of Indian Point, the attorney general said. Following a lawsuit last month pressing the NRC to study the safety impact of storing spent nuclear fuel on site, today’s action is the latest in a series Schneiderman has taken to promote “comprehensive, transparent and vigilant” reviews of the aging nuclear plant before decisions are made on whether to extend its operating license for another 20 years. “Whether or not you support nuclear power or the relicensing of Indian Point, we can all agree that the plant must be required to operate within full compliance of all safety measures,” said the attorney general. Schneiderman points out in his petition that the plant has not installed required fire detectors or fire suppression systems in various locations. The plant has not strengthened electrical cables to withstand fire damage for one to three hours, a regulation established to provide necessary plant security in the event of an emergency, according to the petition. Rather than installing automatic response systems, the plant would resort to employees to perform a series of complex manual actions, which the NRC has not authorized as a means of adequately protecting nuclear facilities in the event of a fire, Schneiderman said. 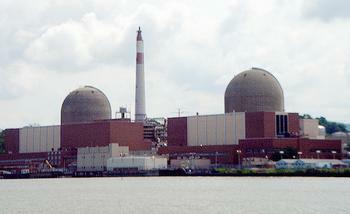 The NRC established fire safety standards for nuclear power plants in 1980. “Today, thirty years after the regulations became effective, the Indian Point reactors still do not comply with those fire safety regulations,” the petition states. Earlier this month, Schneiderman called on the NRC to consider seismic risk, which it has so far not taken into account in the relicensing process, before making a decision on whether to extend Indian Point’s operating license for another 20 years.